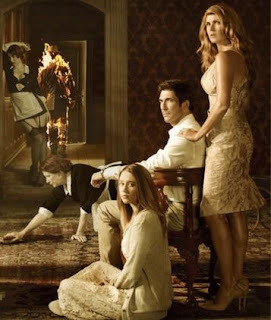 ...maybe a few fan favs that are still stuck in Murder House? Cuz everyone else is coming out of the woodwork, so to speak. Just a glimpse of these spirits would have my soul singing! I really do think that we will see the parents of the white scorpion because he is the twinnie of the Devil Child who brings about the end of the world. Why put him in the trailer if we aren't going to know about him, or see his parents? I know, wishful thinking. Share your wishes for the upcoming season in the comments area.